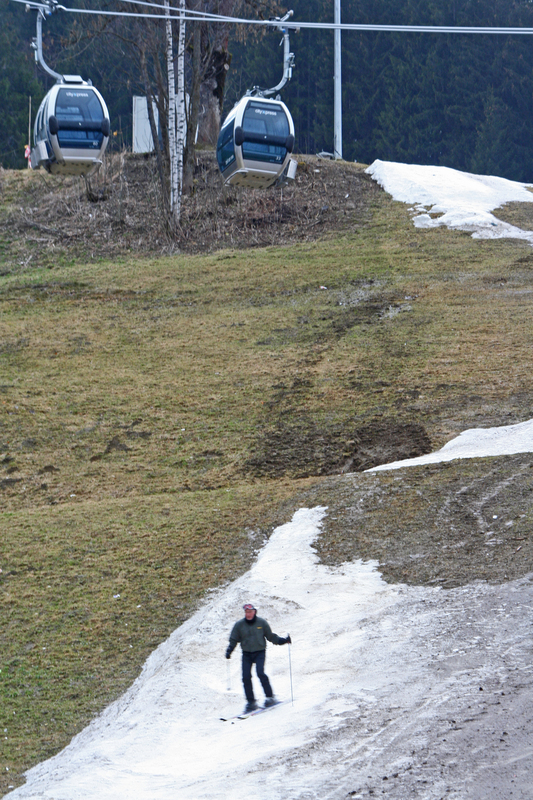 Lack of snow at ski resorts in the Alps. Zell am See, Austria. Photo credit: Kai Aulio.